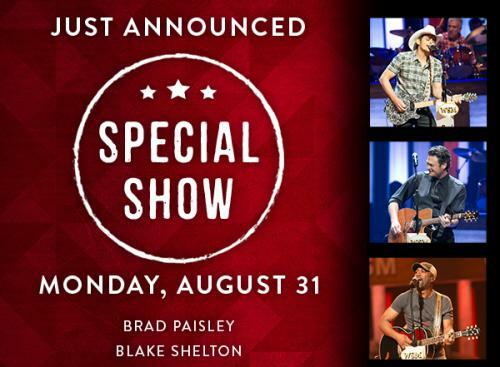 This Opry Show will be filmed as the centerpiece of a theatrical production to be released in theaters nationwide. Featuring performances by Brad Paisley, Darius Rucker, Blake Shelton Brett Eldredge, and The Band Perry. Expected show taping time: 2 hours. Artists are subject to change without notice. By attending this taping, you may appear on camera in the theatrical production. - See more here!